LinkedIn profile optimization is a very easy task if done systematically. 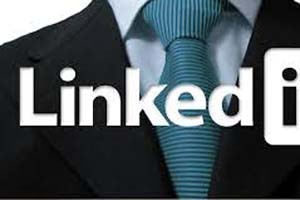 First of all, you must update your LinkedIn profile as per your Resume, fill in most of the sections such as Summary, Role descriptions, Education, Honors & Awards, Projects and so on and then it is good to optimize your LinkedIn profile. It is good to consult Resume writing professionals or professional LinkedIn profile writers to get some LinkedIn profile optimization and writing tips. Optimize the Job Titles: This involves selecting specific keywords for your Titles. For instance, if you are a Project Manager-Oracle & also a Managing Director at an individual venture, make sure, all your titles somehow connect to both these titles and gives a sense of consistent job history. Optimize the images on your LinkedIn profile: The background image above your profile Name and your photograph must be adjusted to the correct dimensions in order to fit well and display what you need to make visible. The ideal image size for background image is 1400 X 425 pixels and for the logo or your profile picture, it is 200 X 200 pixels. Optimize the content, sentences, length and words: LinkedIn profile optimization can be done by using short sentences with ideas that are to the point. This way, LinkedIn.com allows you to accommodate more characters and also the profile looks well presented. Optimize skills and endorsements: Not all endorsements you receive may be for the job title that you are seeking a job for. So make sure you have more endorsements for the title you are seeking a new job in and the lesser ones for other skills. The top 10 skills ideally should say 99+ and that is when search engines quickly scrawl through your page when somebody searches with those skills. Optimize groups, company follows and connections: Yes! Optimization is possible even in these parameters. Often, if you are someone from X country looking for a job in Y country but have lots of connections from Z country, you surely need to optimize your connections! Likewise, of you are a Sales Managers, joining tons of Finance groups may not make much sense, so it is good to connect the groups with your primary occupation, when searching for jobs and approaching recruiters via these groups. Besides following the above LinkedIn profile optimization tips generally, you can try targeting three to four specific keywords while implementing the above steps. This would usually give you more targeted results and will elevate your LinkedIn™ profile to new heights!